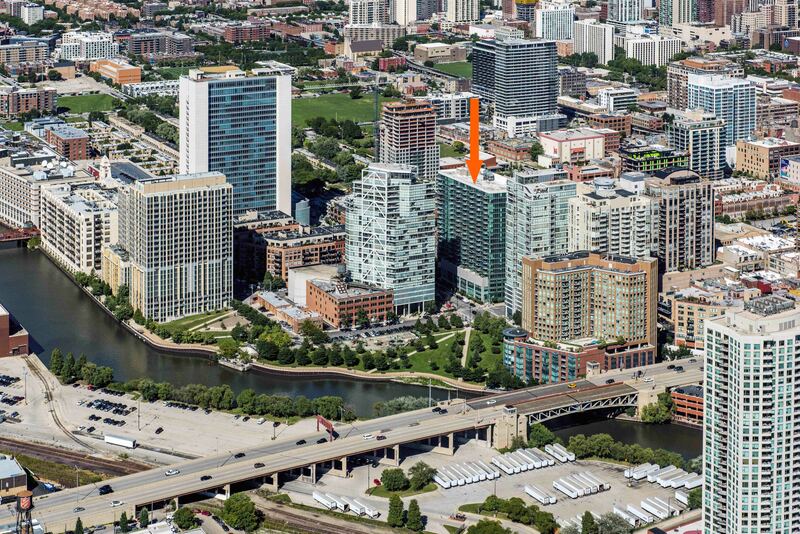 Parc Huron is a 21-story, 221-unit apartment tower at 469 W Huron St in River North. The property, which was completed in 2010, is across the street from Montgomery Ward Park. 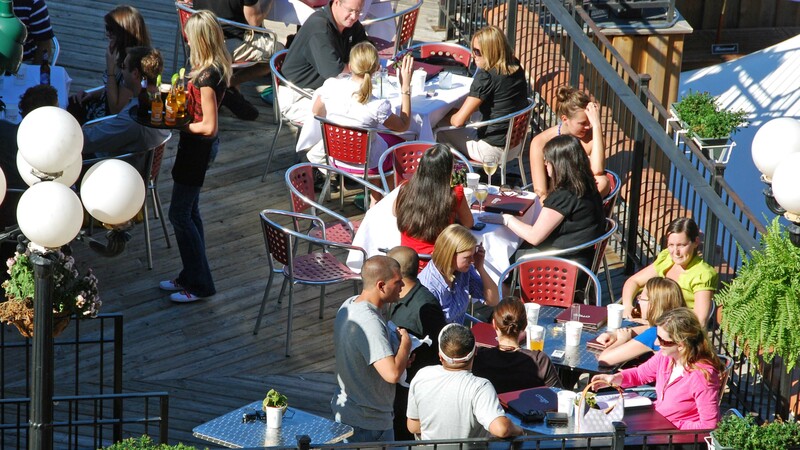 RMK was the developer, Hartshorne Plunkard the architecture firm, and Walsh Construction the general contractor. 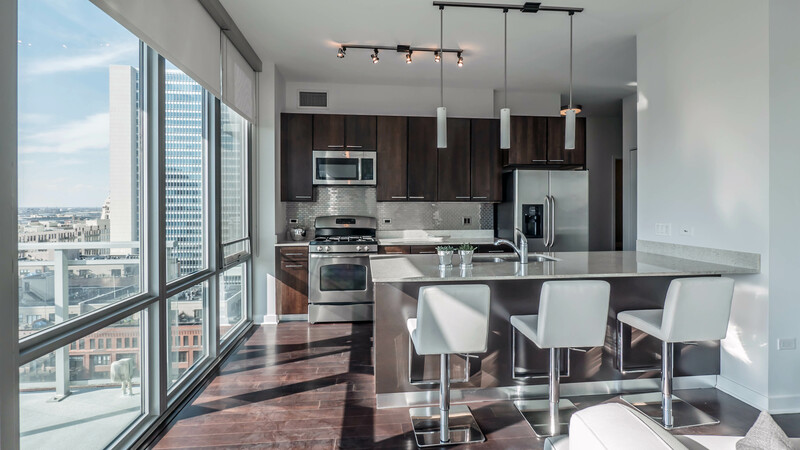 Parc Huron has the distinction of being the only River North apartment tower that has no studios or convertibles. 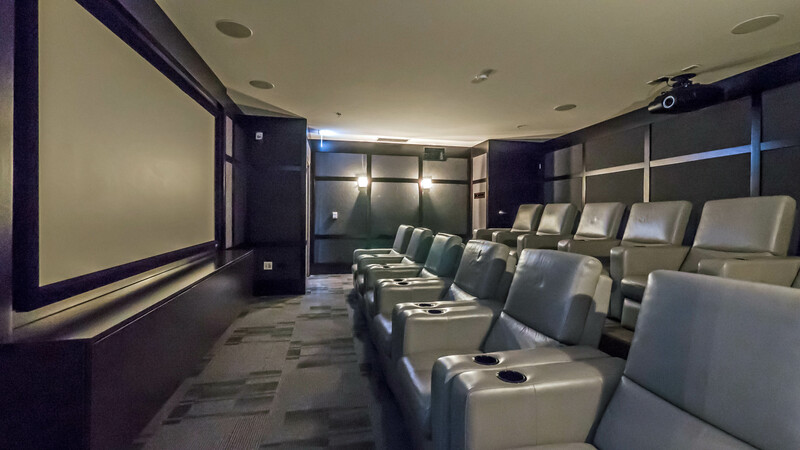 The building has seven 1-bedroom floor plans, four 2-bedroom, 2-bath plans and a 3-bedroom, 2-bath layout. The floor plans are practical and efficient, with little space lost to hallways. All of the apartments have private outdoor space, either a balcony or a terrace. 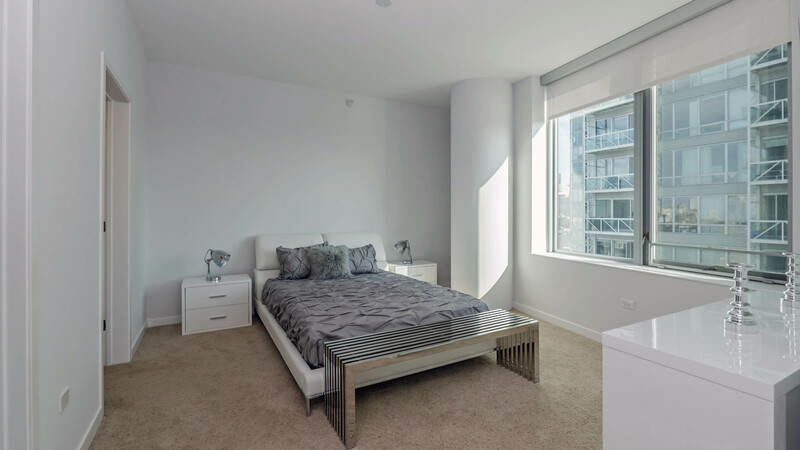 The apartments have floor-to-ceiling windows, ceiling heights of at least 9 ½ feet, hardwood floors in living areas, in-unit washers and dryers, and walk-in closets. 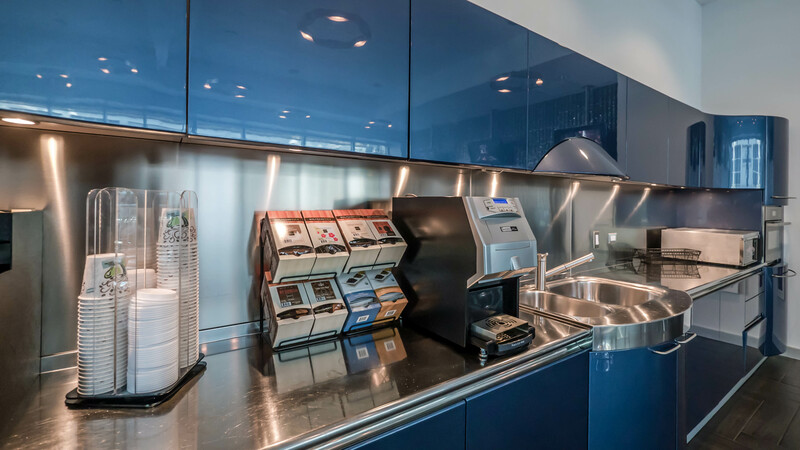 The kitchens are open plan and have good cabinet and counter space. 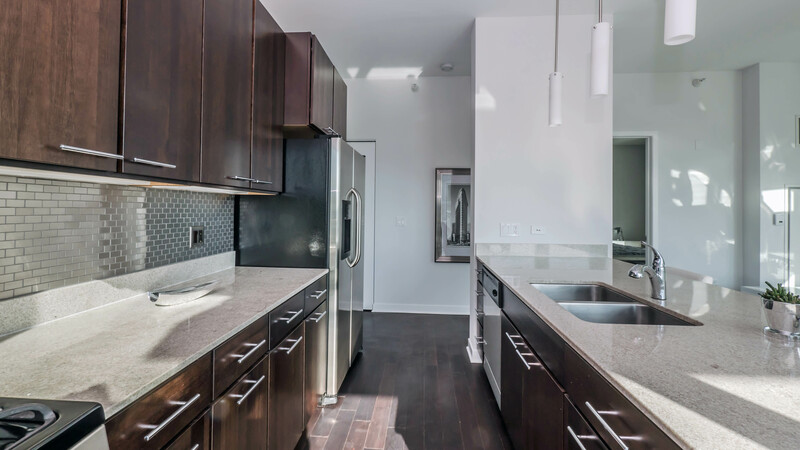 There are granite counters, under-mount sinks and a stainless steel appliance package that includes a gas range, dishwasher and built-in microwave. Bedrooms are carpeted. 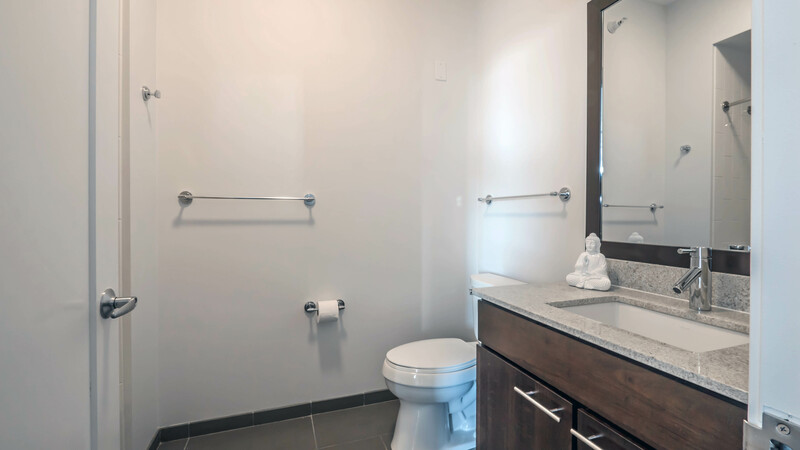 Baths have nice-sized vanities, granite tops and under-mount sinks. 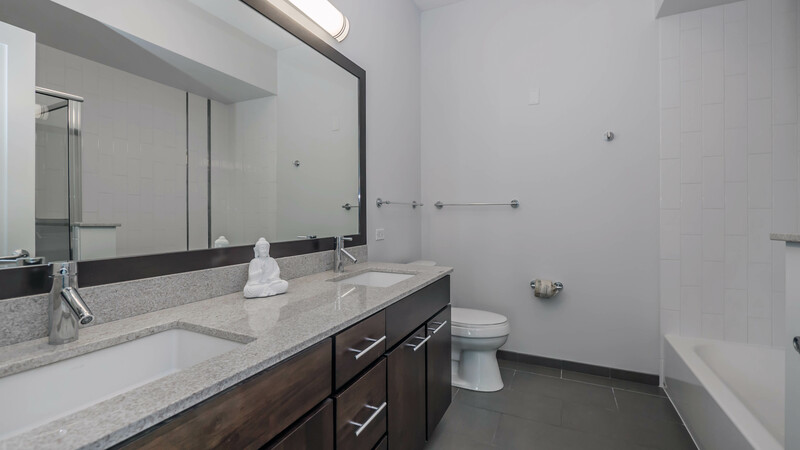 The master bath in 2- and 3-bedroom apartments has a dual-bowl vanity and a separate tub and stall shower. Views. 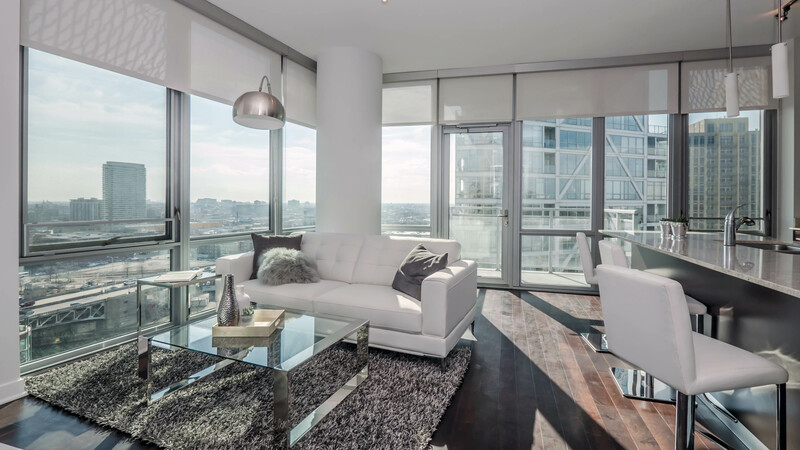 Parc Huron’s north – south orientation maximizes the dramatic skyline views to the east. 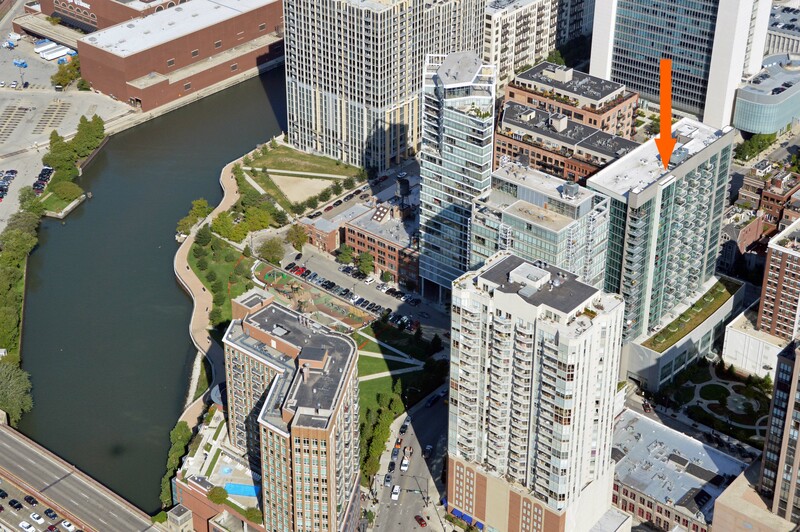 West-facing units have views have views of the river over a neighboring park. 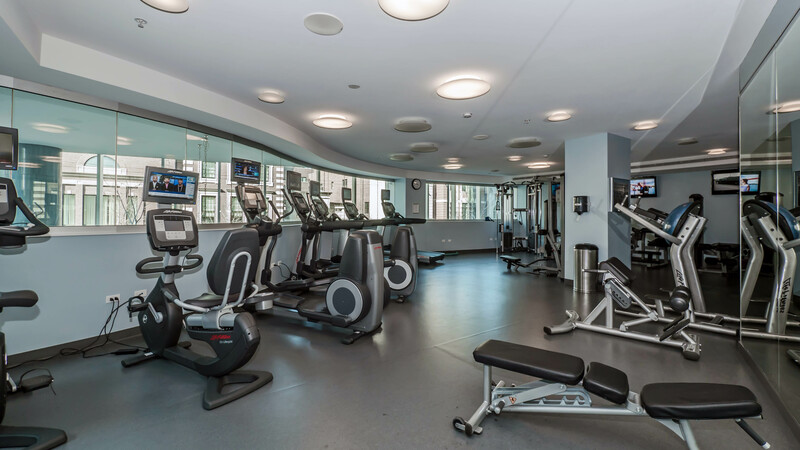 Amenities, services, policies Parc Huron has an attractive amenities package for a building its size. 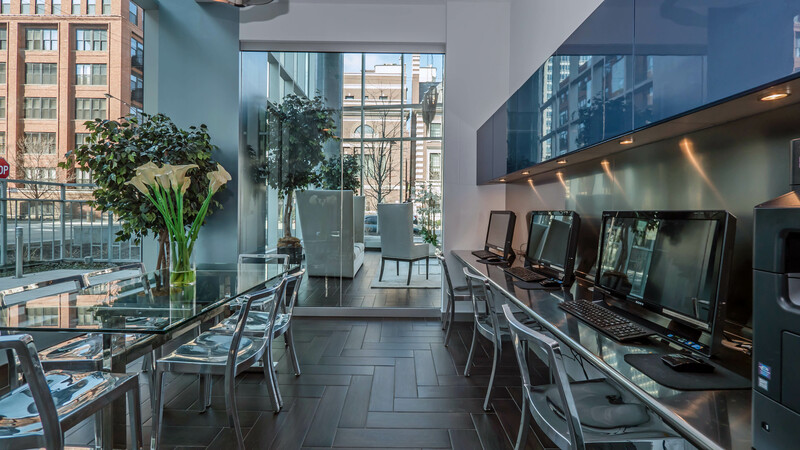 The sunny cyber-café is on the first floor. There’s a nicely-equipped business center adjacent to the cyber-café. 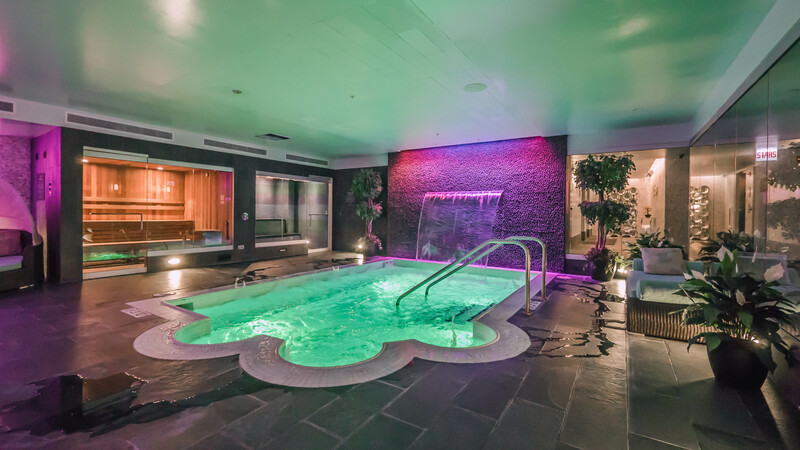 The building’s colorful aquatic center has an “oversize spa pool” with a waterfall and an adjacent steam room, whirlpool, sauna and lounge area. 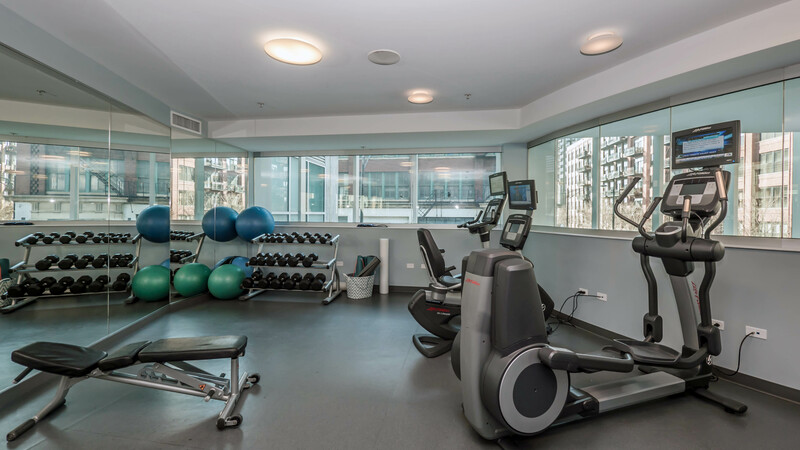 The fitness room has both cardio and strength-training equipment. 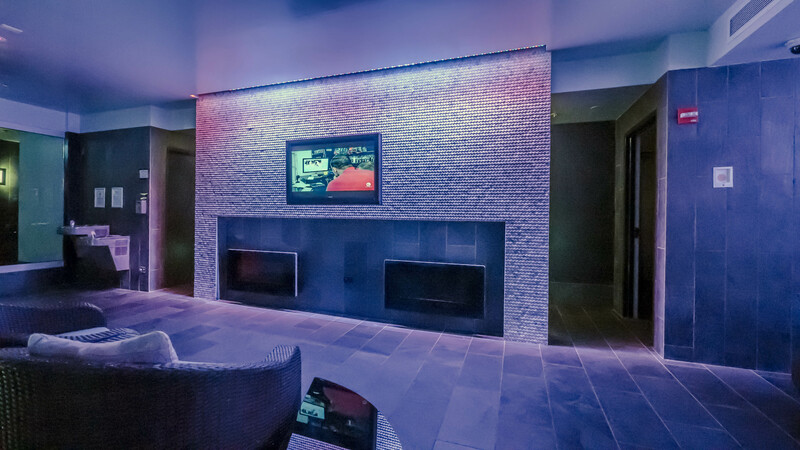 The building has an outdoor terrace with a fireplace. 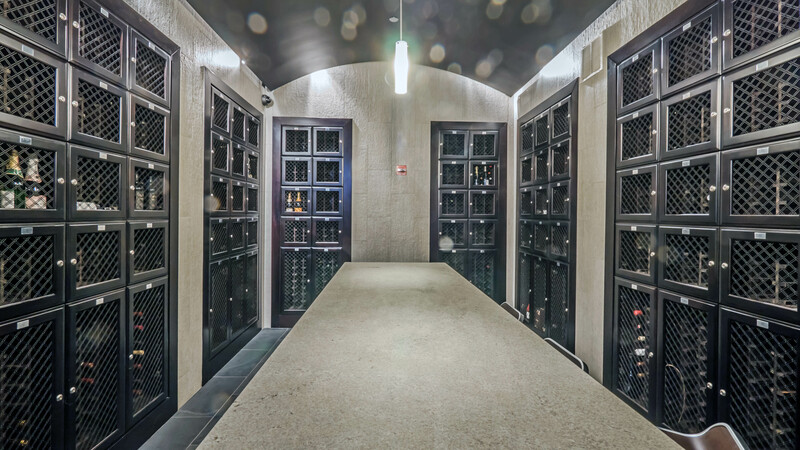 The wine room is an unusual amenity, and there’s also a media room. 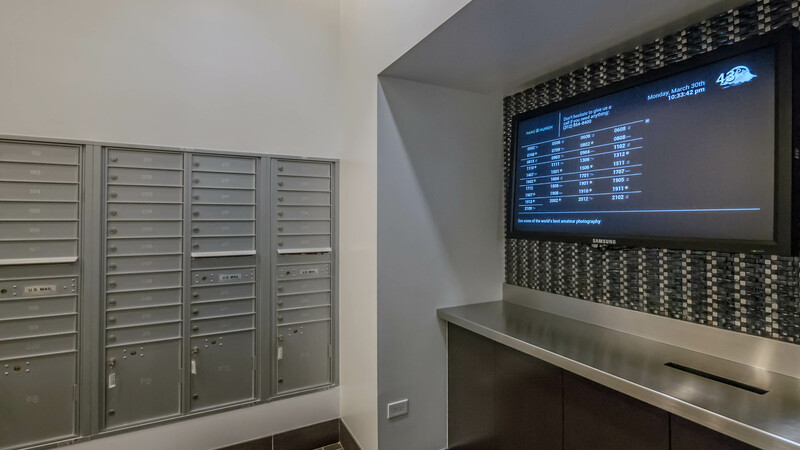 A display screen in the mail room alerts residents when there’s a delivery waiting for them. 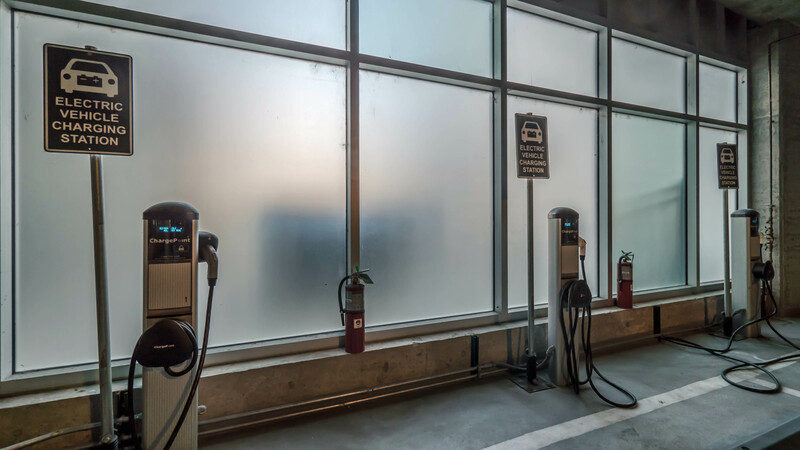 The on-site garage is well-lit and has electric car-charging stations. Garage parking is in assigned spaces. 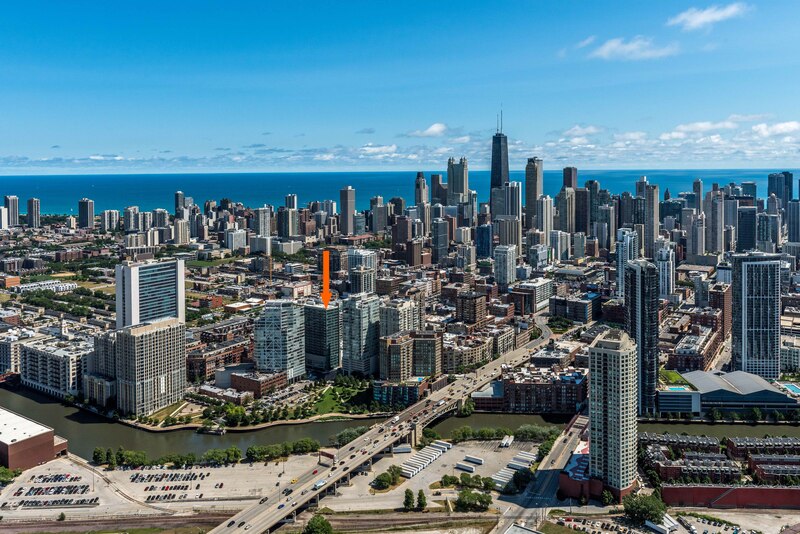 Guest parking is available, which is worth noting given how scarce parking can sometimes be in River North. 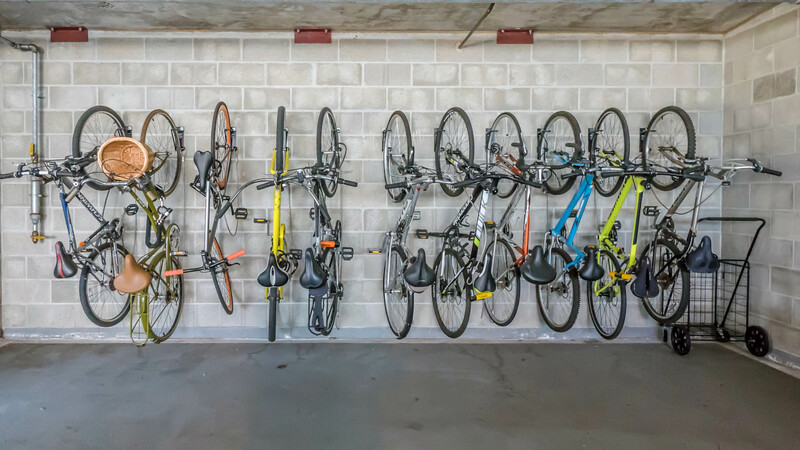 Bike storage is available, with convenient street access. 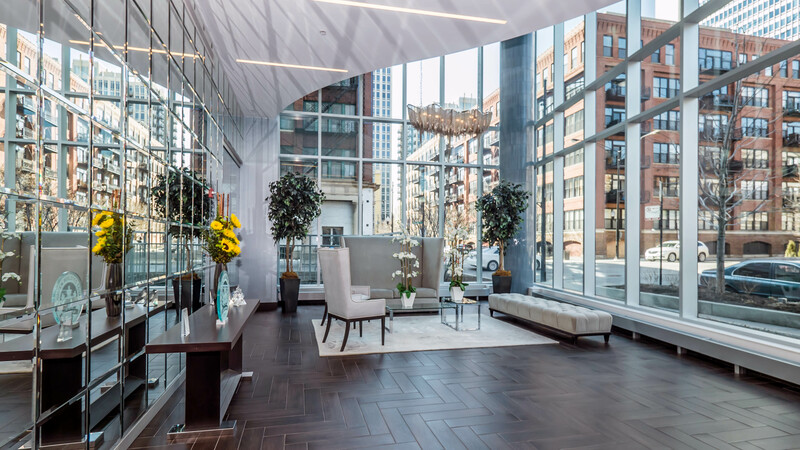 Parc Huron’s lobby has floor-to-ceiling windows and mirrors that showcase and reflect the varied architecture that helps make River North such an interesting place to live and work. 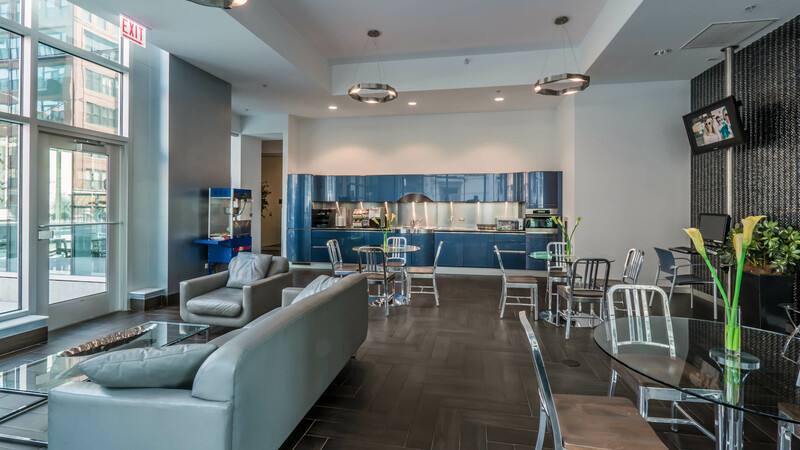 Parc Huron has on-site leasing, management and maintenance staff, and 24/7 door staff. The building is smoke-free and pet-friendly, subject to limits. 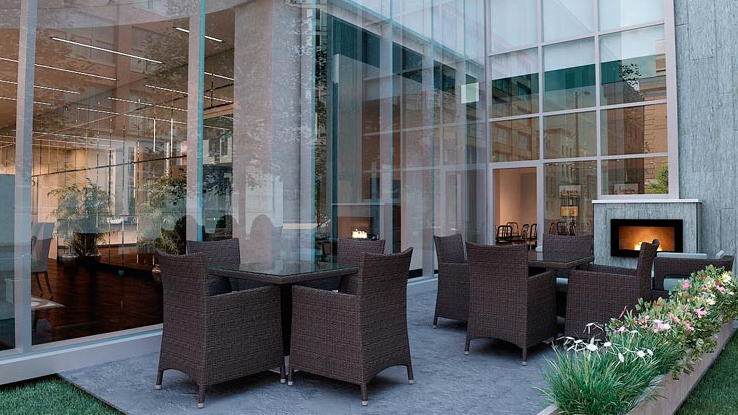 Parc Huron is in a pleasant, relatively quiet, largely residential part of River North, blocks away from the dense nightlife and tourist attractions. Shopping. Grocery shopping and retail outlets are several blocks from Parc Huron. A 7-Eleven convenience store is a block south of Parc Huron, opposite a popular Peet’s Coffee. A newer Jewel, possibly the city’s best, is about three-quarters of a mile from Parc Huron. The new Plum Market is less than a mile north, and Whole Foods is just over a half-mile east. 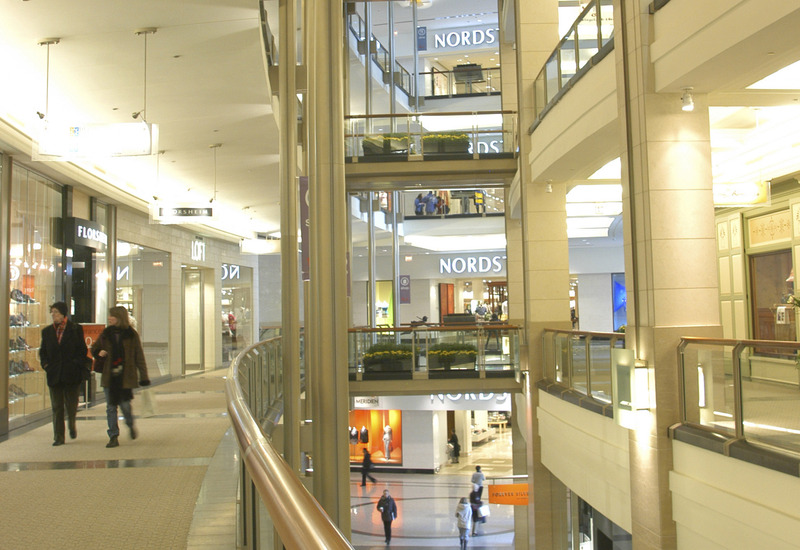 Retail development in the immediate area is sparse, but the shops along Michigan Avenue’s Magnificent Mile and The Shops at North Bridge are only a few minutes away. 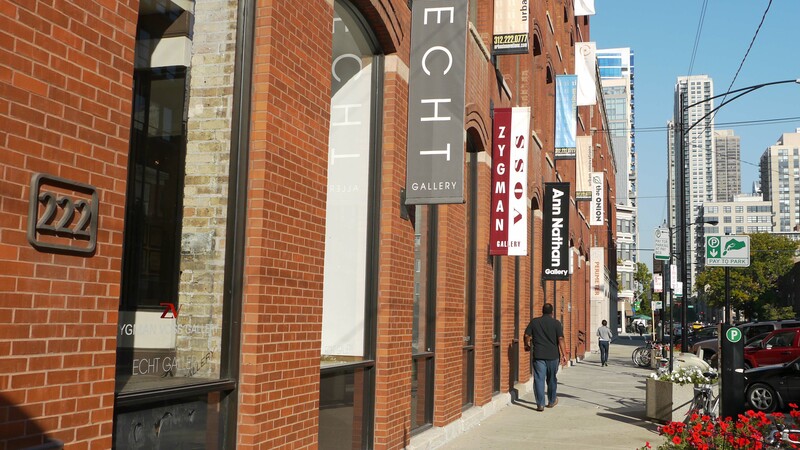 The River North Gallery District has dwindled in the economic downturn, but remains a vibrant scene. Dining, nightlife. 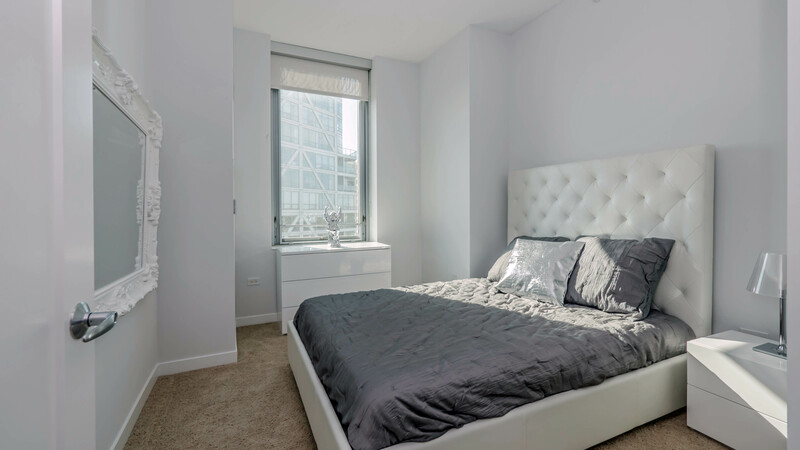 River North dining, bar and nightlife options are within a short walk or cab ride of Parc Huron, and coffee shops and sidewalk cafés are a short walk away. 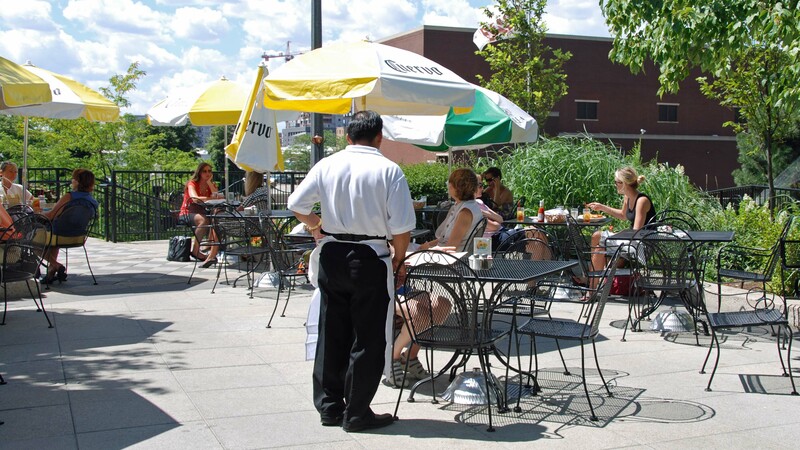 Erie Café and Citizen are popular venues that are steps away from Parc Huron. 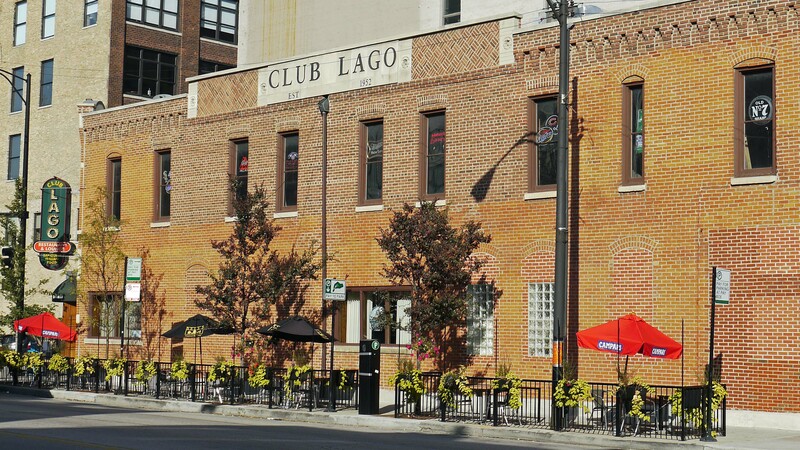 If you crave Italian, Club Lago is a short walk from the building. 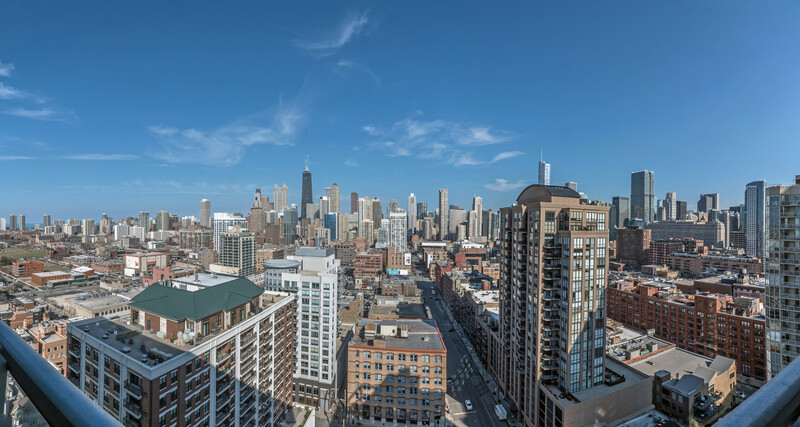 Parc Huron has ready access to the thriving West Loop restaurant and club scene and to the growing array of options in the adjacent Fulton River District. Parks, recreation. 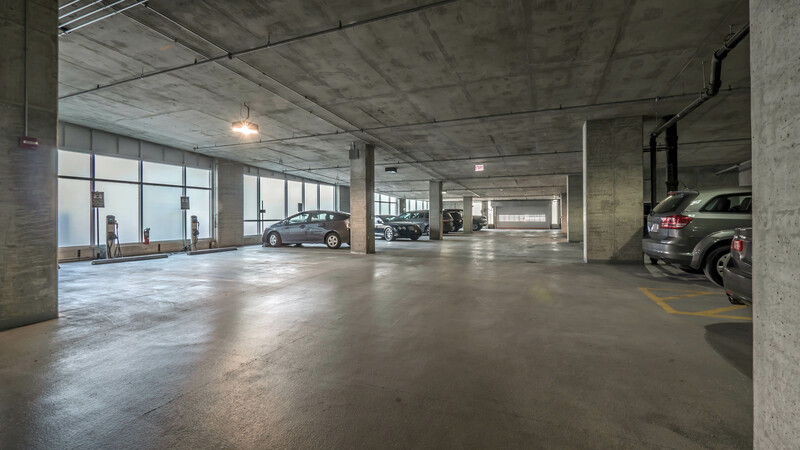 Parc Huron has better access to park space than other River North buildings. There’s a small park just east of Parc Huron. 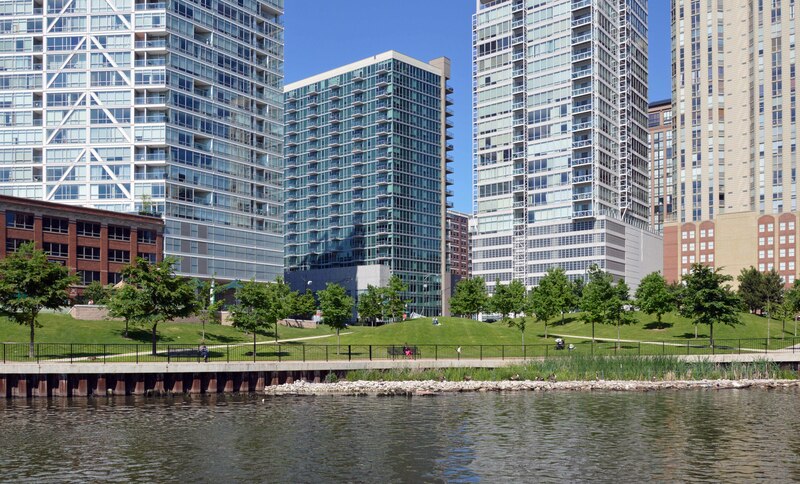 The popular 3-acre Montgomery Ward Park on the Chicago River is across the street from the building. 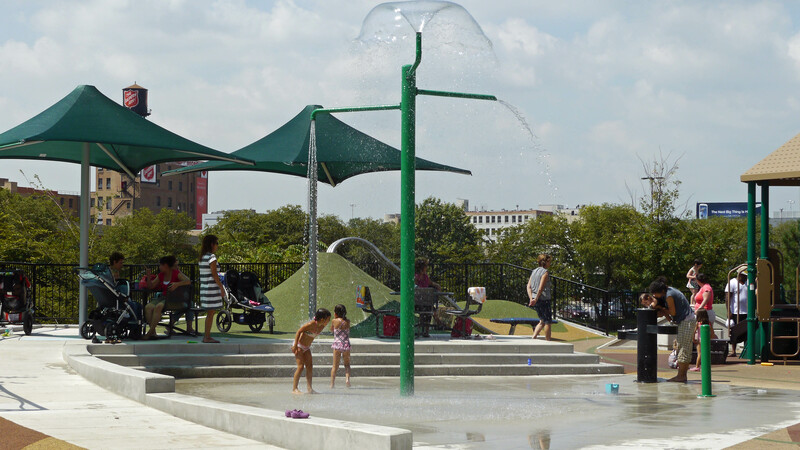 Ward Park is primarily a passive recreation space sloping down to the river, but it does have an excellent children’s playground and it hosts a number of Night out in the Parks events. 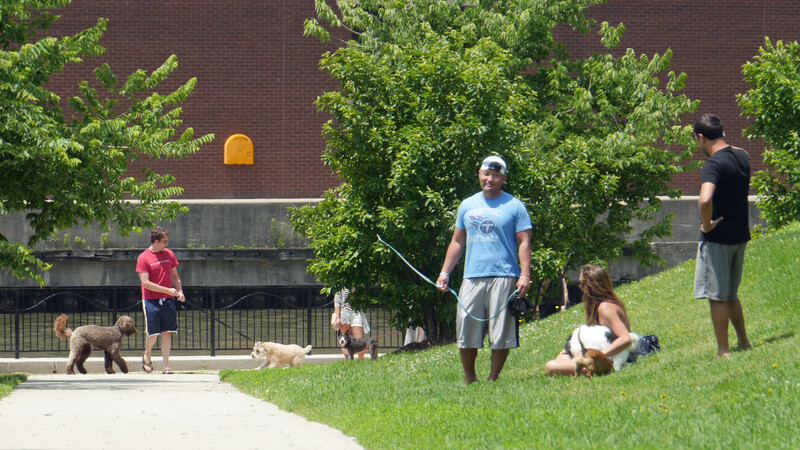 There’s a dog-friendly area just west of Parc Huron adjacent to Ward Park. 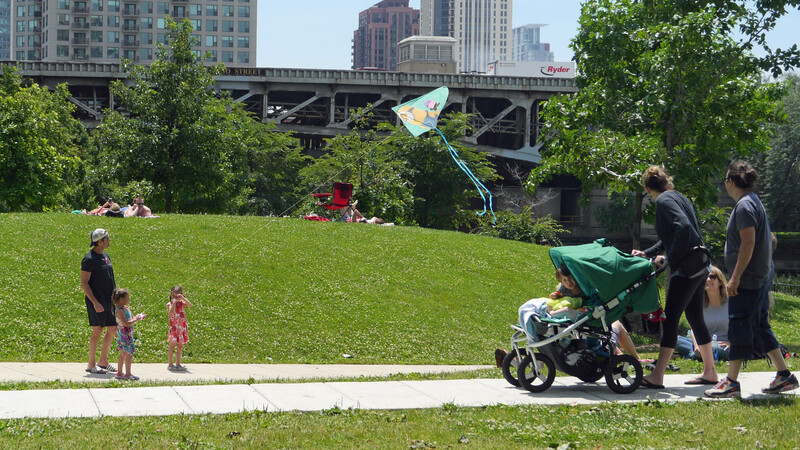 Parc Huron has good proximity to Chicago’s expanding Riverwalk. Transportation. Public transportation is decent. The Chicago Ave stop on the Brown and Purple lines is about an 8-minute walk from the building, and there’s a Starbucks adjacent to it. 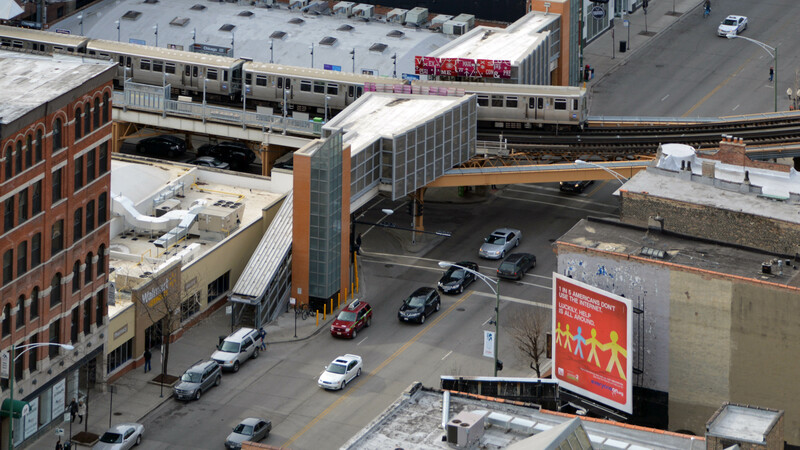 CTA bus routes on Chicago Ave and Grand Ave provide frequent (although not always rapid) access to Streeterville and North Michigan Ave, and busses along Wells St and LaSalle Blvd connect to Loop and Near North destinations. Taxis regularly cruise the area. Zipcar car sharing locations are nearby. If you’ve lived at or visited Parc Huron, and are not a real estate agent, add your thoughts in a comment. Comments are moderated, and commercial messages are not allowed. Note: Parc Huron is a YoChicago advertiser.